Its Burning up!!!! And Only getting Hotter! July 27th thru 28th…. 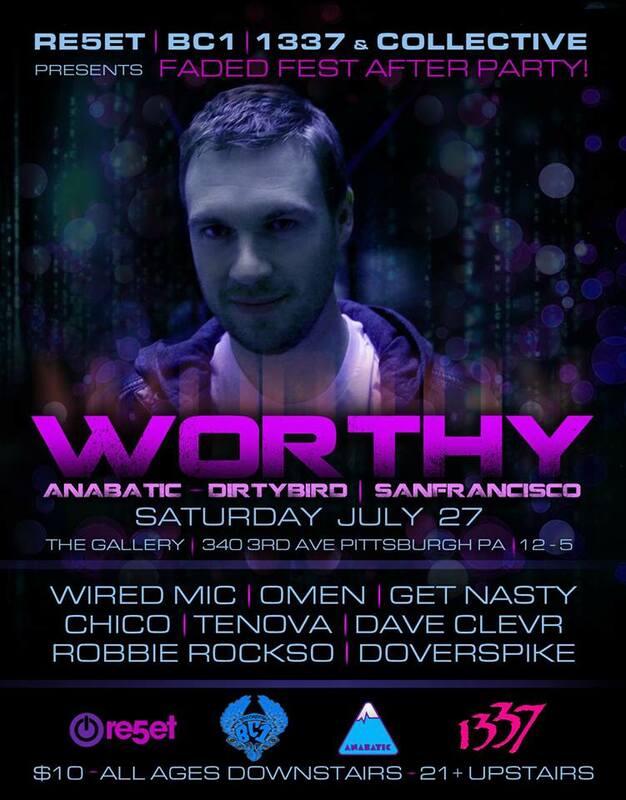 PITTSBURGH PARE5ET, Collective Thought Project & 1337 Come together for the first time ever to bring you the Faded Fest After Party with San Francisco based producer WORTHY! When it comes down to all the press and hype, his name says it all. He is Worthy. With an in-depth knowledge of production, mixing, and performance, Worthy has the insight to play for his audience, cultivating intense positive energy on the dance floor that can only be portrayed as superhuman. His sound can be described asorganic breakbeats with a mix of future house, 80’s, booty bass, and techno. As Carl Cox said, “The Worthy sound has always been powerful, rocking, funky, bass-driven music at its best, and for me this is the new wave in house music.” Worthy has received the recognition of major producers who have played his tracks including Sven Vath, Diplo, and Richie Hawtin, among many. From salty aired islands to dark club basements, Worthy pays reverence to the traditional form of classic house while tripping off the mark and sinking into the euphoric less-charted territories of booty-clapping bass. Touring the globe, Worthy has performed at renowned venues like Hive in Switzerland, Sankeys in the UK, Electric Pickle in Miami, and Mezzanine in San Francisco. Beloved by his fanatical devotees, Worthy has drawn huge crowds to catch his heart-palpitating, sweat-inducing sets at festivals like Coachella, Ultra, Love Parade, and Burning Man. In 2011, Urb Magazine named Worthy one of the Top DJ’s To See at Burning Man, along with M.A.N.D.Y., Andy C, Soul Clap, Seth Troxler, and The Crystal Method. Growing up in Washington DC, Worthy was inspired by the early American rave scene. Upon moving to New York in the late 90’s, he was exposed to artists like LTJ Bukem and Stacey Pullen whose music inspired him to play records across multiple genres, from techno and breaks to hiphop and drum n’ bass. In 2001 he swapped coastlines, moving to San Francisco to pursue his music career. He team up with Claude VonStroke as well as fellow east coast brothers Justin and Christian Martin to create the prodigious outdoor party, Dirtybird, which quickly became an institution and a requisite destination for die-hard Bay Area and international fans. Dirtybird Records hatched from the popularity of these parties in 2005, and since then the label and parties have enjoyed tremendous success fueled by the obsession of their cult following. In 2007 Worthy’s breakout track, Irst Te, released on Dirtybird, quickly established his notoriety as a producer. Concurrently, Worthy released Crack El EP on Leftroom, and soon after, the track Work The Walls and it’s accompanying music video on his personal label, Anabatic Records. Originally intended as an outlet for the release of his own music, Anabatic quickly branched out to sign new artists. Riding the frontlines of today’s music scene, Anabatic Records has been providing a steady stream of edgy, high quality tracks. Worthy has an original flavor that will amp you up, leaving you feigning for more. The synchronization of Worthy’s music speaks to the connoisseur, the DJ, the groupie and the novice alike. Finding balance and unison across all electronic music platforms, his music is unparalleled. He reads his crowd, breaking and fusing genres, blending styles, and establishing an energetic dance floor camaraderie that makes even the most skeptic hater’s booty shake. Remember FADED FEST Earlier that day!!!! ALL DAY!!!! BOOM! 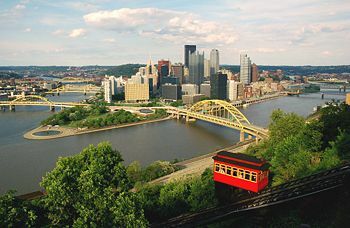 Faded Fest is an enormous all-ages Pittsburgh based showcase featuring over 80 artists, bands, DJs, designers and more! The event is now 7 years in the making and continuing to grow rapidly. Utilizing almost the whole Station Square nightclub complex, Faded Fest will take over the area on Saturday July 27th, 2013. The purpose of this unique event is to bring together all different genres of music and artists and fuse them together into one large showcase. 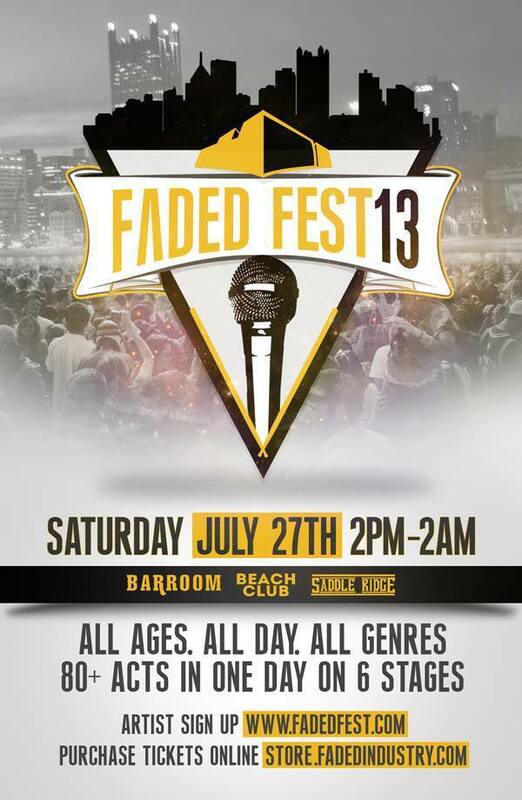 Faded Fest serves as a great way to network, gain exposure and be introduced to many new fans while being aligned with music and artists you may never have heard otherwise. This entry was posted in 1337, 412, 7UP, 814 BASS CREW, art, Bassline, BC1, bikini competition, Blast Energy, BOOM, bristol, CHICO, classic, Clique Vodka, Clothing, clothing line, Deadicated Clothing, DJ, DJ Dev, DJ Lessons, drum n bass, drumstep, dubstep, DYOB group, EDM, electro, electronic music, erie hiphop, events, Faded Fest 2013, Fashion, Festival, fitness, free download, fun, graffiti, hip hop, house, Human Hustle Ent, Instagram, jewelry, life, live dubstep, live performance, local, local art, local artist, Moombahcore, Moombahton, music, nature, New Era, NORML, Novelty+, Nu Disco, party, Pink Floyd, Pittsburgh events, Pittsburgh Heat, pop rock, Primo Designs, rap, rave, Re5et, Shopping, Skate Shop, Skating, Snap-backs, Soundcloud, Steel City, street art, summer, Techy Funk, Tenova, Transformers, Trap, UK, UK music, UK podcast, Uncategorized, ustream, Victoria's Secret, video and tagged 814, 814 bass crew, Android Marketplace, art, bass, bass crew, bassblog, basscrew, crooked i, dubstep, EDM, electronic music, entertainment, erie PA, Erie special event, Facebook, Fashion, free download, Ghost Alive, Latenight, live podcast Erie, local clothing line, Matisflex, Matter, music, NatasK, Pittsburgh, RE5ET, RE5ET Pittsburgh, RSK, Shopping, sponsor, street art, style, the box 814, ustream, ustream.tv, ustream.tv dubstep by 8BC Art and Music Culture Collective. Bookmark the permalink.